Electric scooters are zipping around Brookline this month, but they are still illegal to operate in Boston. With Boston University’s campus at the intersection of these two municipalities, however, e-scooters have been seen on campus within Boston’s boundaries. At the beginning of the month, California-based companies Lime and Bird each deployed 100 of their dockless, rentable electric scooters onto Brookline streets after receiving a permit. The City of Boston is taking steps toward regulating the vehicles, though they are still technically illegal under Massachusetts law. 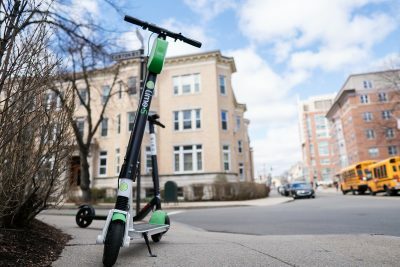 Lime and Bird scooters mark zones where riders can’t ride or park their scooters on their apps. Tapping on a restricted zone in the Lime app reveals a message that states, “Repeatedly parking here may lead to a fine or suspension of your account.” And when riders leave their Bird scooters in a restricted area, the meter that tracks how long the vehicles are in use cannot be shut off — meaning users could be charged an additional fee. Scott Mullen, Lime’s Northeast expansion director, said Brookline is the first municipality in the Greater Boston region to authorize a scooter pilot. “There is a possibility of increasing that number if the ridership is there and we are hitting on the marks in terms of the requirements of the permit,” Mullen said. He said he would love to see Lime scooters implemented on campuses like BU’s. BU Police Department officer Peter Shin said there are safety issues that come with students operating the scooters on campus, including concerns of endangering other students. On BU’s campus, he said he was worried about the lack of shared space on the roads. Electric scooters are part of a rising movement of “micro-mobility,” which includes bikes, mopeds and dockless scooter-sharing services. 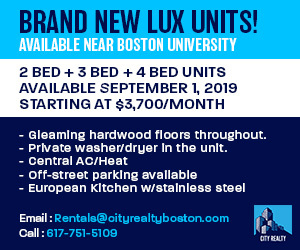 They can serve as transportation methods to places that are too far to walk, but too short to drive, according to District 6 Boston City Councilor Matt O’Malley. O’Malley, who first suggested the idea of bringing the dockless, app-based scooters to the Boston in October, said he is a big proponent of micro-mobility in Boston. O’Malley said the purpose of Brookline’s permit is to get people out of cars and rideshares, which is better for reducing city traffic congestion and greenhouse gas emissions. “It really has the potential to be a very positive, powerful impact in the region,” O’Malley said. O’Malley also said he would love to see the scooters implemented on BU’s campus. Sophia Scaglioni, a freshman in the College of Arts and Sciences, said she loves Lime scooters. Sabrina Lu, a freshman in the College of Communication, said she was surprised when she saw the scooters on campus a few days ago. Safety issues are all over other cities. Maximum Students not riding safely which cause major or minor injuries. The way students are operating electric scooters insists to stop enter in Universities with e-scooter. That is a good step to drive safely but not good to stop the benefits of small mobilities. this subject for ages and yours is the greatest I’ve discovered till now.